ENCINITAS — Another bluff collapse at Beacon’s Beach could wipe out much of the nearby parking lot and a winding trail that leads down to a popular surfing spot, officials fear. City signs posted there even warn beachgoers to use the trail at their own risk. 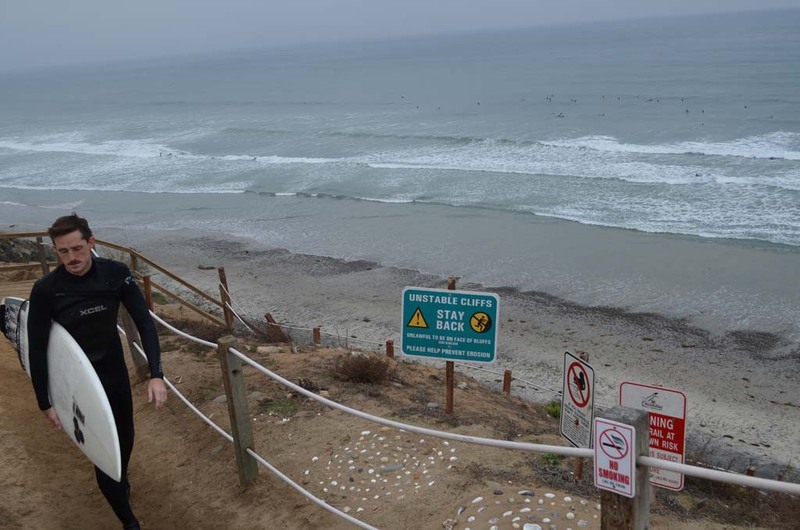 “It’s an active landslide area,” said Encinitas Director of Parks and Recreation Lisa Rudloff, adding that an unruly storm could cause another major bluff failure. After California State Parks shot down a past attempt, the city is trying to find a way to stabilize the bluff at Beacon’s, whether with a seawall or another alternative. Two weeks ago, the City Council directed Encinitas Parks and Recreation to work with a soil engineer to find a solution that hopefully appeases state parks and the California Coastal Commission. Councilmembers also asked for the department to come up with a proposal to shore up Beacon’s — complete with a cost estimate — at an undetermined date. Beacon’s was raised to a priority following a bluff collapse that destroyed a portion of the trail in 2001. The same year, state parks awarded a $2.75 million grant to stabilize the area and reconfigure the parking lot. In 2009, the city neared completion of plans to shore up the bluff with a seawall. But that same year, state parks retracted the grant, citing its policy against seawalls. Encinitas was able to apply the grant money to Moonlight Beach improvements. Still, questions over how to secure Beacon’s loomed. State parks Superintendent Robin Greene noted this all occurred before her time, but said two separate departments at state parks are responsible for handing out grants and enforcing policy. There should have between better communication between the departments and city before issuing the grant, she added. But that’s in the past, Greene added. She said with new leadership in place at the city and the local state parks’ office, they’ve established stronger ties. Beacon’s, located in Leucadia, is operated by the city through a 20-year agreement with state parks. Now, Greene said local parks officials are supportive of a seawall at Beacon’s, if the city chooses to go that route. Local representatives would have to gain approval from parks officials in Sacramento to amend the Beacon’s general plan to permit a seawall. An amendment could cost the city as much as $100,000. Yet another drawback: the California Coastal Commission would have to sign off on a new seawall. The coastal commission, which has generally opposed new seawalls, has stated the barriers are unsightly and contribute to beach erosion. Due to the potential of hitting coastal commission resistance, Rudloff noted the city is also consulting with engineers to see if seawall alternatives like fiberglass nails and soil cement could reinforce the bluff. Soil cement can be engineered to erode at the same rate as the sandstone bluff, and it’s less likely to choke off the natural sand supply. For that reason, it might satisfy the coastal commission, along with environmental groups that are also concerned with seawalls. What’s more, soil cement likely wouldn’t require a general plan amendment. Rudloff said she hopes to avoid a costly seawall, but more research is necessary on the costs of the alternatives and if they could stabilize the bluff well into the future. San Diego Surfrider has long fought against an amendment to allow a seawall at Beacon’s. Julie Chunn-Heer, the group’s policy manager, said soil cement is a new concept that she would need to look into further before commenting on whether Surfrider would support it. Recently, the coastal commission didn’t rule out a seawall or another alternative, only stating it favors the “least structural option,” according to Rudloff. Once the city narrows down its options, it will ask the community’s input on the best way to proceed, she added. Resident Charles Marvin, who lives near Beacon’s, said a reinforcement solution can’t come soon enough. “Beacon’s is a tremendously important access point for our city from an economic perspective,” Marvin said. 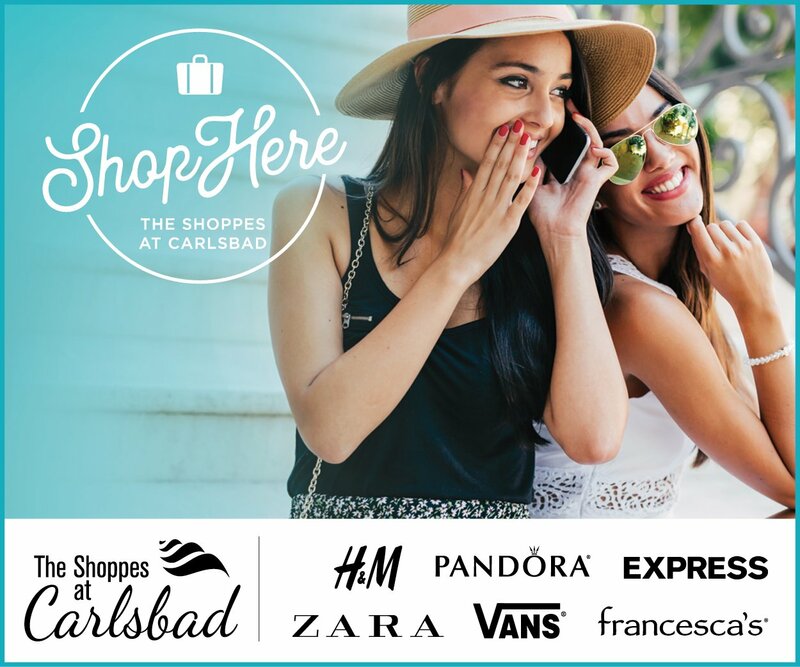 “You have tons of Leucadia businesses that get customers from people going to and from the beach. And if people were sitting on the beach during a bluff collapse, there’s a strong chance someone gets hurt or killed, he said. “It would be a disaster,” Marvin said.